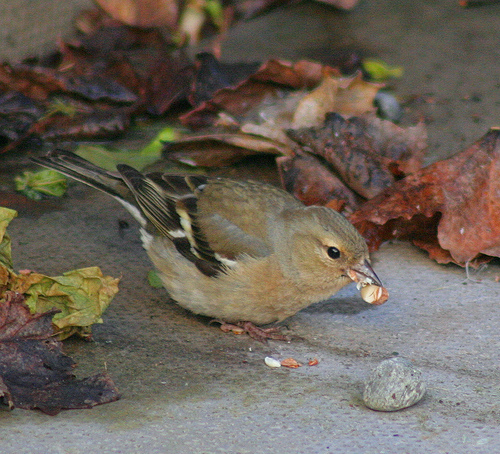 Chaffinches are common birds in western Europe. From a tree branch they sing their distinctive song: short, loud, and descending in tone. 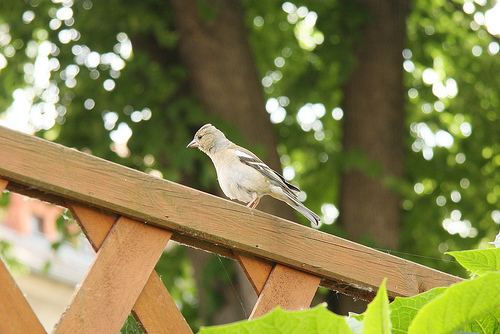 The Chaffinch has a normal-sized beak, the beak of the Hawfinch is extremely large. The Brambling has an orange band on the shoulder, the Chaffinch's band is white. The rump of the Brambling is white instead of the grey.